Your child can see Martha model good neighbor behavior as she offers to help Mr. Hangburn with his mouse "PREDICAMENT. 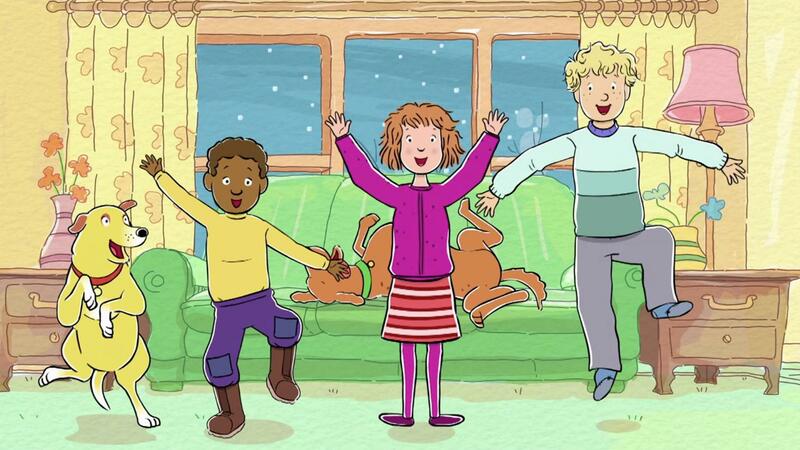 Your child can learn about "BRAINSTORMING" as the kids explore ideas for awesome puppy TV shows. 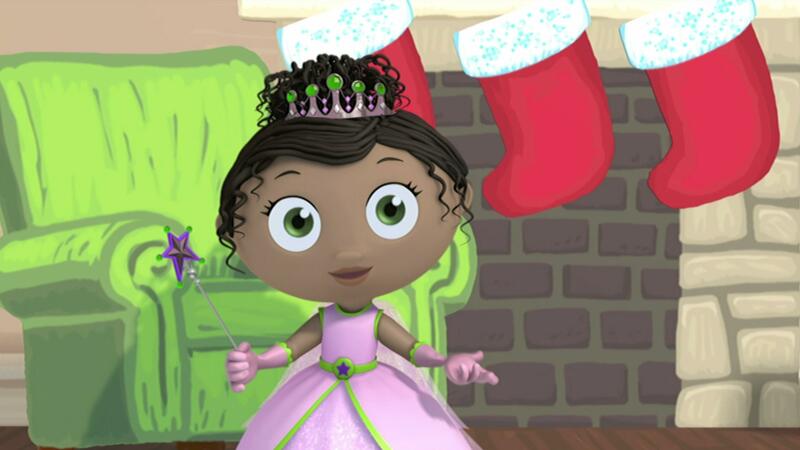 Your child can practice printing letters and sounding out words with Princess Presto in this clip where she spells the word "SNACK" to entice Santa to visit! Pig and Duck learn that a spring is not the thing to make a frosting machine stop bouncing! 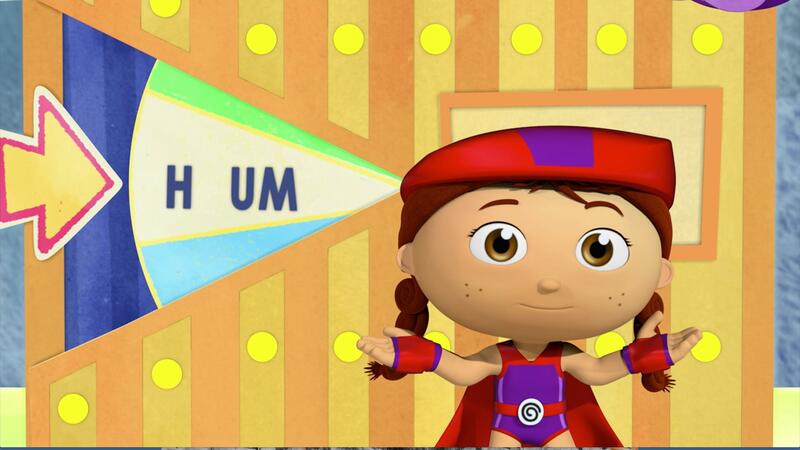 Your child will learn about phoneme sounds and spelling the word "spring. 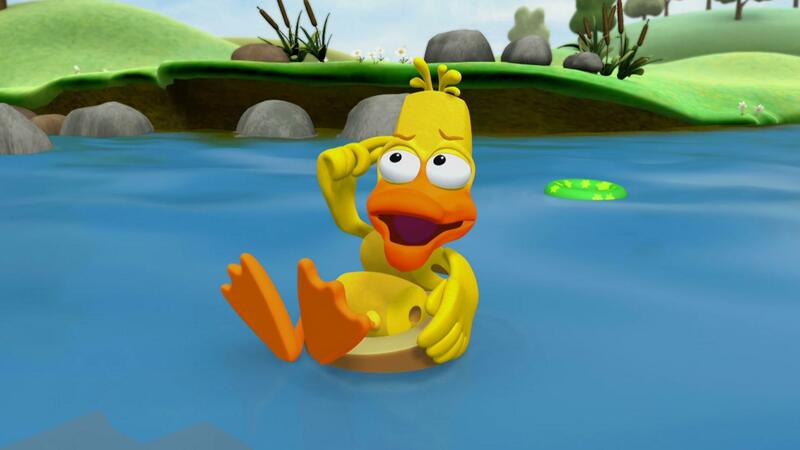 Duck gets stuck in the letter O when he tries to go swimming! 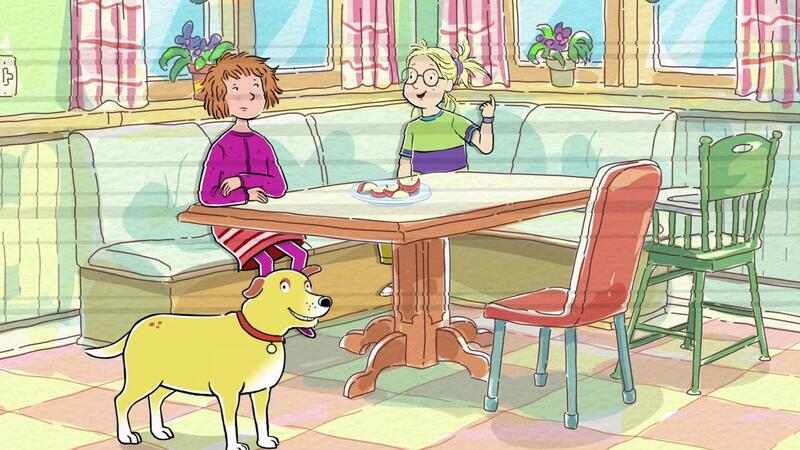 Ham Johnson and Kit Luntanne are going to make a vocabulary calendar together! Your child will learn that preferably, positively, and definitely, all mean yes! Your child will learn about how news reports provide information, and the meaning of "blackout". 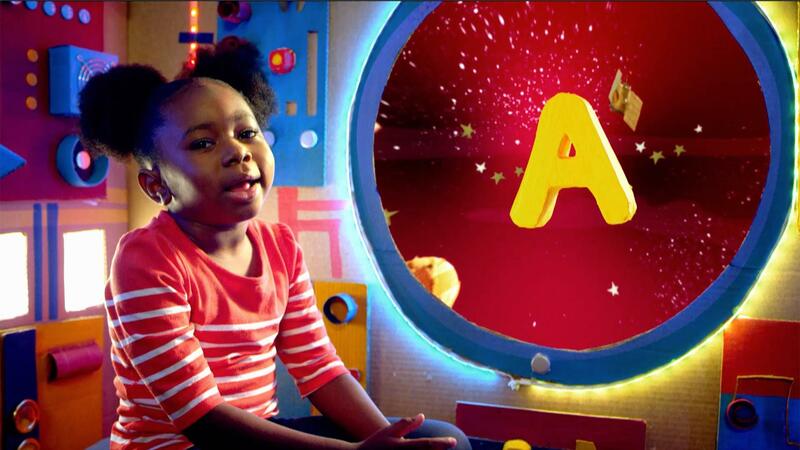 In this A-dventure, your child will learn about the letter 'A' and all the words that start with the first letter of the alphabet. 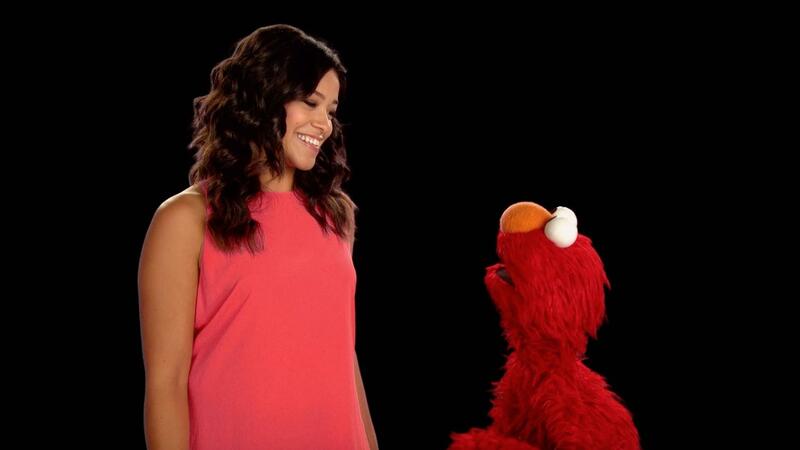 Gina Rodriguez teaches Elmo how to sing the ABCs in Spanish. 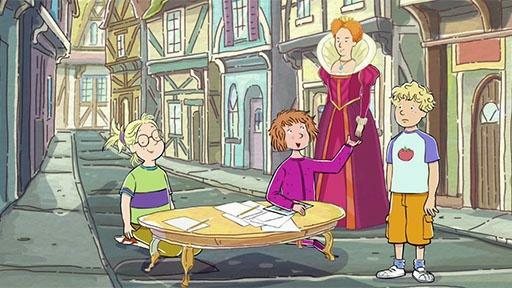 Helen and Alice can teach your child about the words "AGE" and "ERA" as they take T.D. 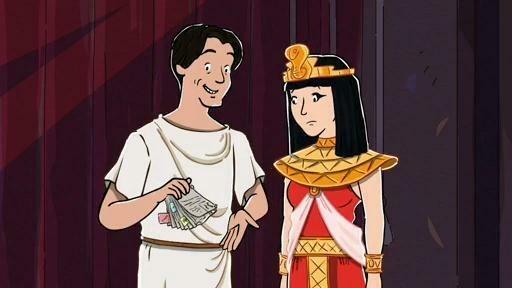 to their favorite parts of the past. Red helps Aidan find two words that rhyme when he plays the word wheel. 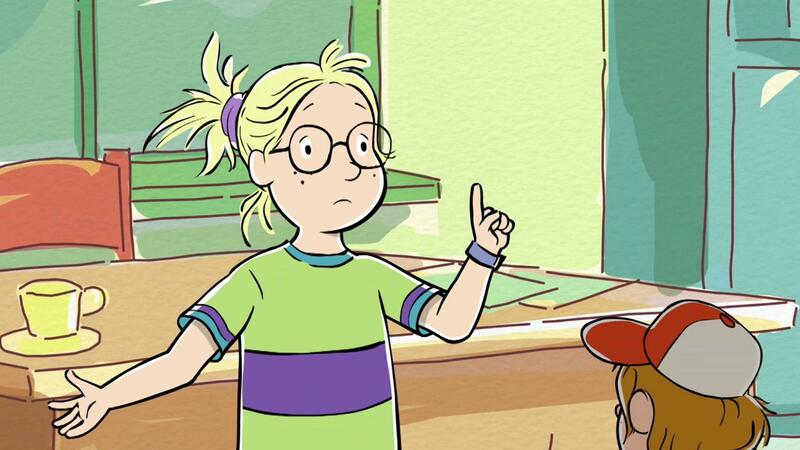 Alice's storytelling troubles come from the fact that she loves to "DIGRESS." 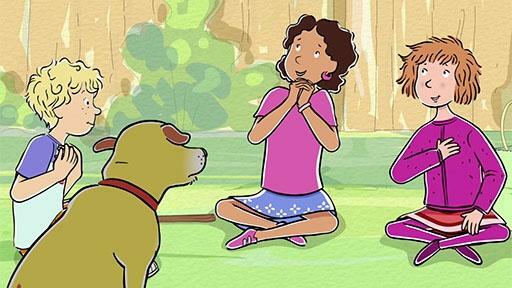 Your child can learn about digressions and storytelling from Martha in this clip. Alice has some trouble telling her story to the class. 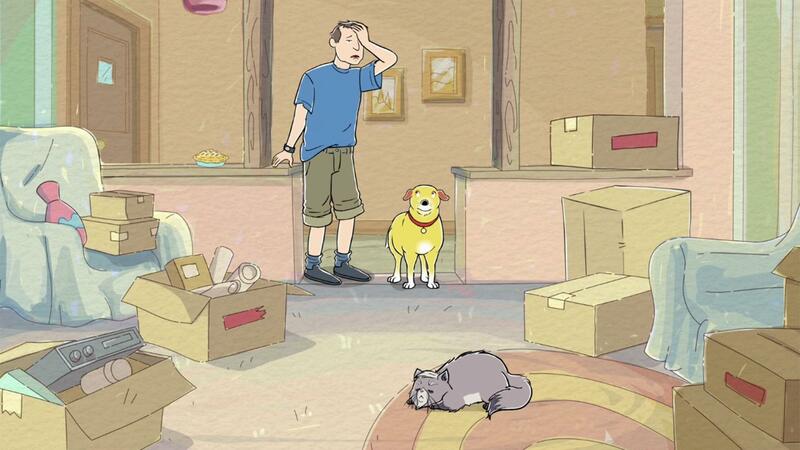 In this clip, your child can learn about storytelling and the word "COMPREHEND. 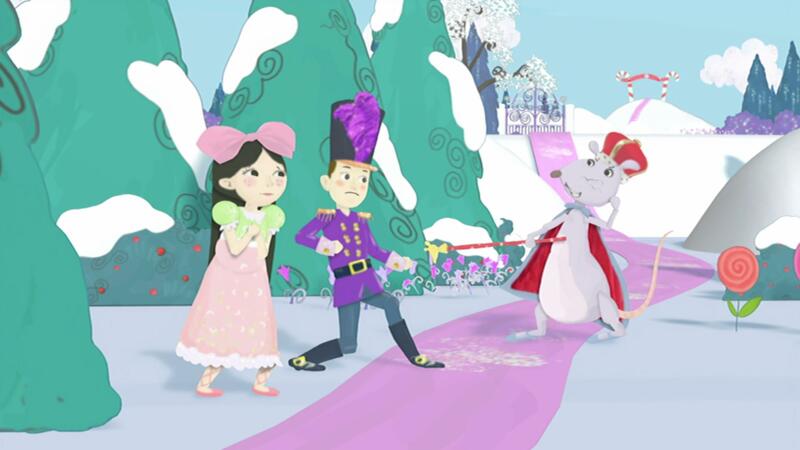 Your child can spell "FLY" with Alpha Pig to help Clara and the Nutcracker escape the Mouse King. 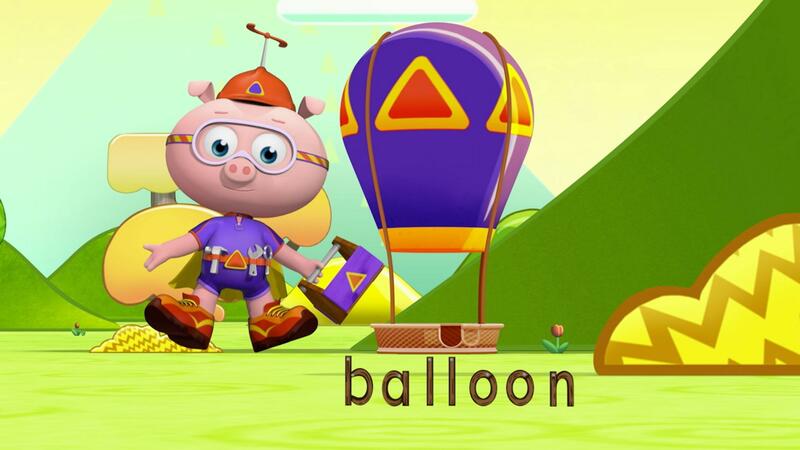 Alpha Pig spells the word "BALLOON" in this clip to help two lost sheep.